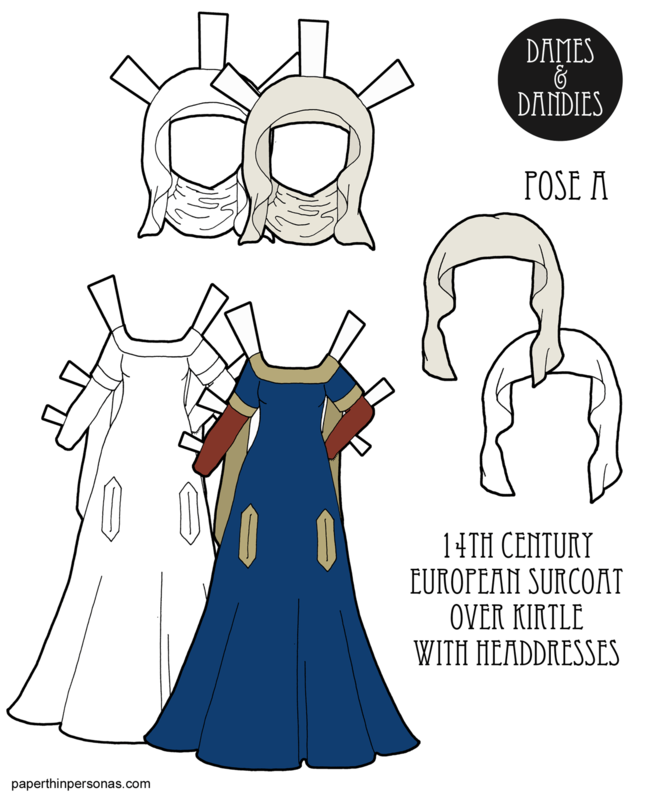 I just love medieval costumes! Fairytales and all. BTW, pdf links of this one lead to the Alice doll. Oh, and thanks for doing this. Your dolls and costumes are one of my very few addictions. I’ve very much enjoyed this week, and like you said, a lot can be learned from paper dolls. Not willing to be annoying, but the color pdf link is still not working. Promise I won’t bring this up again.